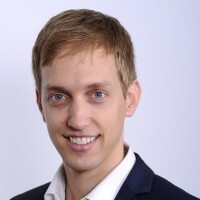 Tobias Puehse is Vice President, Innovation Management for Digital Payments and Labs, Asia Pacific, Mastercard. Mr. Puehse leads innovation management at Mastercard Labs Asia Pacific. In this role, he is responsible for activities that help generate unique, innovative ideas, both internally and in collaboration with our key external partners. His focus spans ideation through prototyping and business case development, both developing new propositions and determining which opportunities make the most sense for Mastercard and its partners to pursue & incubate. Most recently, Mr. Puehse was named to Next Bank’s Top 100 leaders in Asia’s fintech scene which recognizes people shaping finance across Asia in 2016 and beyond. Prior to joining Mastercard, Mr. Puehse held key leadership positions in the Innovation Practice at The Nielsen Company. At Nielsen, he most recently led the Innovation Practice for Southeast Asia, North Asia, and Pacific supporting more than 100 clients in reaching their desired innovation outcomes. In his 12-year career with increasing levels of responsibilities, he had been based in the USA, India, Singapore, and Switzerland covering clients globally prior to joining Mastercard in Singapore. His experience is reflected in his various published articles concerning breakthrough innovation. Mr. Puehse graduated from the Kelley School of Business at Indiana University Bloomington with a Bachelor’s of Science degree in Management and International Business.